Metal, as a roofing material, is experiencing a renaissance. It’s one of the oldest materials used for this application, but it has only started regaining its mainstream status in America lately. One reason its stock used to be low is that property owners are more familiar with the mythology surrounding it than the reality. 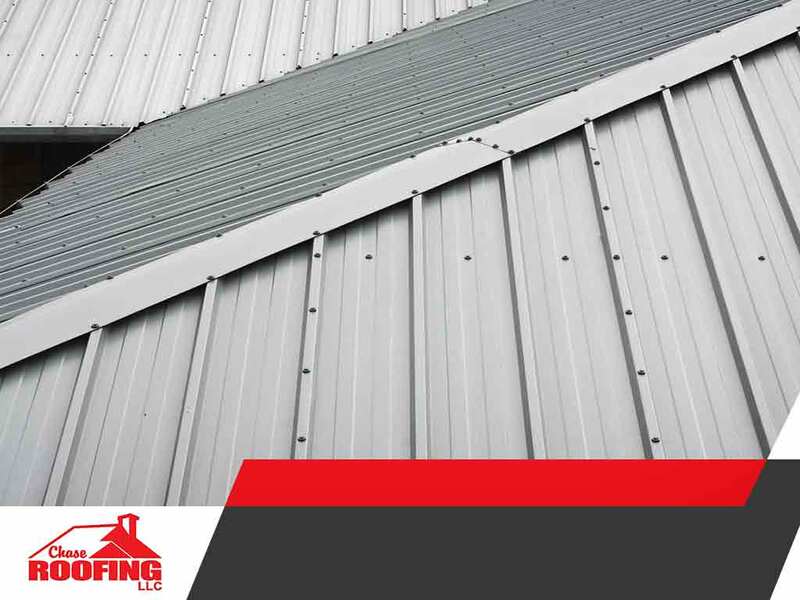 To separate fact from fiction, read on as Chase Roofing debunks some of the most persistent misconceptions about metal roofs. All metals corrode, but only iron and the alloys containing iron develop rust. Even a steel roof is generally galvanized to slow the rate of deterioration. Its zinc coating acts as a sacrificial layer to protect the substrate from moisture and oxygen. Other metal options for roofs, gutters and flashings, don’t turn flaky orange no matter how many downpours they encounter in their life spans. Standing seam metal systems are suitable for low-slope roofs of no lower than a pitch of 1-in-12. When mechanically locked, the water can’t penetrate the vertically fastened seams even if it pools for extended periods. The roofing material has nothing to do with ice dams. Attic ventilation is the culprit. A metal, slate or asphalt shingle roof can become warm enough when heat keeps building up in its underside. Good ventilation allows drafts to replace the hot air as it escapes through the ridge, keeping the snow from melting unnaturally. Metal is considered “cool”, but it wouldn’t suffice to dramatically lower your utility bills, especially during the hottest months. You need to pair it with good attic insulation and ventilation to see positive results. There’s no metal without mining, but any roofer would say that most of the supply used in construction is actually reclaimed and recycled. When a metal roof reaches the end of its service life, it goes to a scrap yard, not the landfill. Its production has minimal impact on the environment and it’s extremely sustainable. Chase Roofing uses metal for residential and commercial roofing applications. Call us at (757) 333-0052 now to discuss your roof replacement project, and receive your free estimate in Yorktown, VA, or any surrounding area.